Q. How do I find different book formats in the new library catalog? 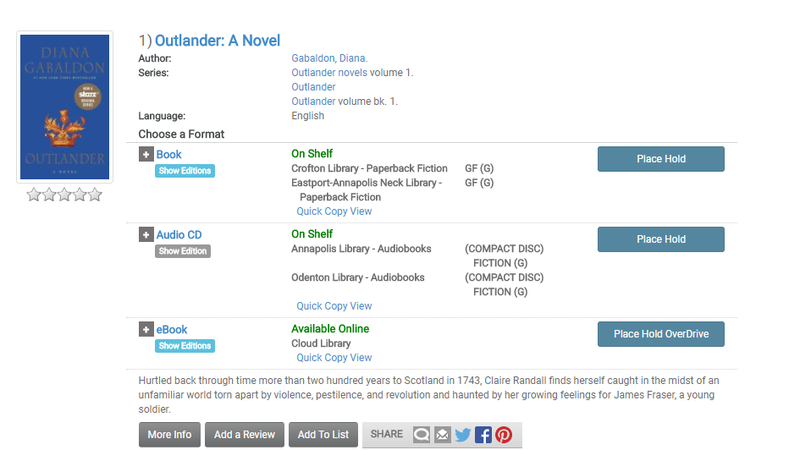 With record grouping, when you search for a title, author, or keyword in the Library catalog, you’ll now be able to easily and quickly see all the formats (such as book, eBook, audiobook, etc.) that the library offers for a particular work in one listing. Movie DVDs will still always have their own record, because the story isn't exactly the same as the book.